The concept of "screen memories" was introduced by Freud for the first time in his 1899 paper, reprinted here in its entirety. 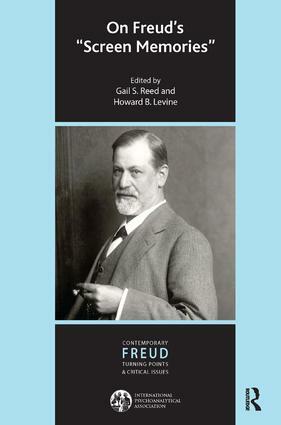 Although the clinical interest in "screen memories" has perhaps diminished in recent analytic discussion, there is much to be gained from revisiting and re-examining both the phenomenon and Freud's original paper within a contemporary context. To this end, the authors have invited contributions from eight leading psychoanalysts on the current meaning and value to them of the screen memory concept. These comments come from contemporary psychoanalysts practicing in Italy, Francophone Switzerland, Argentina, Israel, and the United States of America, each of whom has been trained in one or another of a variety of psychoanalytic traditions, among which are ego psychology, a French version of Freud, an American version of Lacan and at least two variants of Kleinian thought - one British and one Latin American.